Milford, NH ― Nextmove Technologies introduces the LinkAlign-ALTE Auto Acquire LTE Extension. LinkAlign-ALTE expands the operating range of 3G/4G/LTE services. If your mobile network operates in regions with limited carrier service then LinkAlign-ALTE is a product for you. LinkAlign-ALTE has multiple high gain directional antennas that provide 360 degrees of coverage while increasing the operating distance of your mobile network. 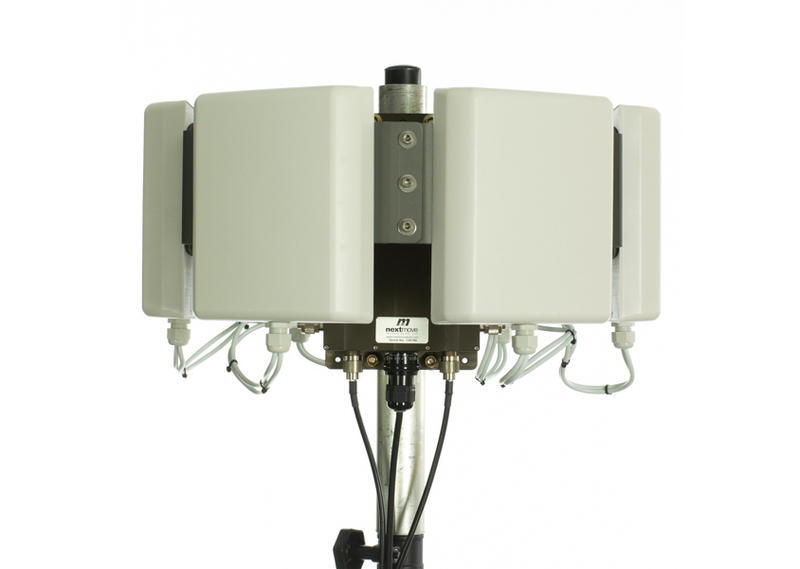 Most high gain directional antennas for extended 3G/4G/LTE require alignment back to a tower. LinkAlign-ALTE has a built in switching and monitoring to auto scan and negotiate the best path for your extended service condition without user alignment or configuration.